The international labour movement tends to consider the direct impact of technology on workers, especially job losses. Historically, technology has tended to replace labour, intensify it, and allow work processes to be reorganised. This is why we tend to speak of the ‘impact’ of technological change upon workers. This word highlights that workers, without control over the economy and with limited say in politics, have been exposed to the negatives of technological change. In recent years there has been a lot of noise about the ‘Fourth Industrial Revolution’, with concerns about ‘the future of work’ expressed in headlines such as ‘Millions in South East Asia to lose jobs to automation’ (Cruickshank 2016) , or ‘Adapt or die: How to cope when the bots take your job’ (Wall, 2018). These help to keep unions focused on this aspect of technological change. But this is not the first time workers have faced predictions of doom. Back in the 1960s and the 1980s there were widespread concerns that robotisation and microelectronics would destroy jobs. With hindsight we see substantial changes to the economy, including job losses, but also that the pace, scale and impact of change was nowhere near as catastrophic as initially feared. Below a certain pace of change, the processes destroying, changing and creating jobs level each other out. And if technology is accompanied by investment in training, education and compensation, its worst effects can be much reduced. Evidence is weak that the technological changes discussed today are substantially different. Productivity, a measure of technological change, is not rising (OECD, 2018). Many of the flashy new applications of technology are small scale. Moreover, some figures suggest that the application of technology actually increases employment (Arntz et al, 2018). Others claim that even the biggest job losses are within the margins of ‘jobs churn’ in the global economy. New technology will lead to changes in the bundles of tasks that make up many jobs. Some will go, and new ones arise. At the level of the economy as a whole, some jobs will go, and most will eventually change. New ones will gradually be created. The overall impact depends on regulatory environments and macroeconomic conditions much more than on the existence of a technology alone. This does not mean that new technology is not going to affect workers. Implantation of sensors into goods, equipment and tools, and their ability to communicate with each other, will enable ‘digital Taylorism’, where every aspect of the labour process, including the worker, can be measured, and the measurements used to achieve the greatest possible efficiency. The danger is less that processes will be fully automated than that human workers are turned into virtual automata. Data was historically hard to come by. Today, technology has enabled vast areas of life to be measured in ways impossible before. Data about people, processes and hardware is becoming something that connects the entire economy. Some data is provided voluntarily – for example, data given free to platforms - and can be used to identify and shape consumption trends. Other data is collected whether we like it or not, at work, for example, or by surveillance technology. Often, access to a service is predicated on handing over data, as when you download an app onto your phone, or use a telephone helpline. Data in its various forms therefore blurs the boundaries that existed between sectors of the economy, and between the economic, the social and the political. Today the bulk of data produced in the world is collected by a handful of US companies – Google, Facebook, Amazon, Microsoft and Apple. These make or own much of the hardware and software that allow collection, processing and analysis of data. Even data collected by other companies is often held on their servers and processed using their software. The data itself has many forms, and is collected on many platforms, but all its forms can be aggregated, analysed and then used to inform action. It describes work processes, industrial sectors, the economy as a whole, and also people, social groups, workers and citizens. And all of this data is privately owned, and processed for private gain. This makes it a commodity, like workers’ labour. It is a by-product of people’s existence that they do not control, which can be used against them. As digitalisation expands, and more and more applications for it are found, ever more of our existence and environment will be measured. The question is how these measurements will be used. Data is also raw material feeding artificial intelligence. While we are not quite there yet, artificial intelligence could be used to control work processes and set the parameters of ‘success’. With the right data, artificial intelligence could predict the likelihood of industrial action, of sickness, of a worker becoming a parent, and so on. But who would benefit? What parameters would apply? In capitalism, the data of many, owned by a few and commodified, obviously threatens to disempower workers completely. This makes rules around collection, use and ownership of data a huge concern for workers. But the digital sphere is transnational. Data in digital form can travel across the world in milliseconds, and can be stored in multiple locations as soon as it is produced. To have any chance of controlling the uses of their data, workers need to be able to exercise control at the national level. This requires labour regulations covering employee monitoring and surveillance technology, as well as data holding. This is what makes the WTO e commerce proposals so dangerous to workers. By forbidding technology transfers and controls over data flows, keeping algorithms secret, and preventing digital companies from having to register at national tax offices, they would enshrine US digital companies’ access to most of the world’s workers’ data, while entrenching developed-world technological advantage. Workers need to consider what forms of data collection and use are acceptable. They should be able to decide who holds it and where. One logical solution is creating national data banks that companies or other countries can pay to access. But this would require creating national digital platforms, or that existing tech companies deposit collected data there without copying it. Another solution would be firewalls denying access to companies that don’t pay tax or abide by data-use laws. Non-tech companies could be made liable for the data of their employees too. It will not be easy to establish digital sovereignty, but it is utterly necessary. The history of the developing world is littered with examples of what can happen when governments try to assert economic or political sovereignty. It is unlikely that the digital sphere will be different. And it is here that the role of national data as a strategic security resource becomes clear. If all the data on a country’s economy, climate, soil, the genetic code of the population, the ecosystem in general, is held abroad, then that country becomes dependent on those holding it. But it is data on people that can make a country most vulnerable. Social data can be like an MRI scan of a society, revealing its fractures, fissures, chokepoints and tensions. A hostile power’s knowledge of this could spell profound difficulties for any government. There are, therefore, solid reasons for countries around the world to begin controlling the production, collection, analysis and use of data. It is already happening. There are two main trends. In Europe and the West generally, the public focus is on privacy and the rights of individual citizens, with the most advanced example being the GDPR in Europe , alongside a clear trend towards controlling information in the debate over ‘fake news’, which is now illegal in France. In other parts of the world, the issue is not privacy as much as the security effects of foreign control of data and information. Vietnam, Iran, China and Cuba have firewalls, and control social media access. In Russia, concerns arose after an assessment of the role of social media in Ukraine’s ‘colour revolutions’ and the crises in Libya and Syria. Data must now be held in Russia, and bloggers with big followings have to register as media outlets. In India too data now has to be stored domestically. All things considered, digital sovereignty is increasingly seen as essential to national security and just economic development. Without it we cannot guarantee equitable development or good working conditions in future. 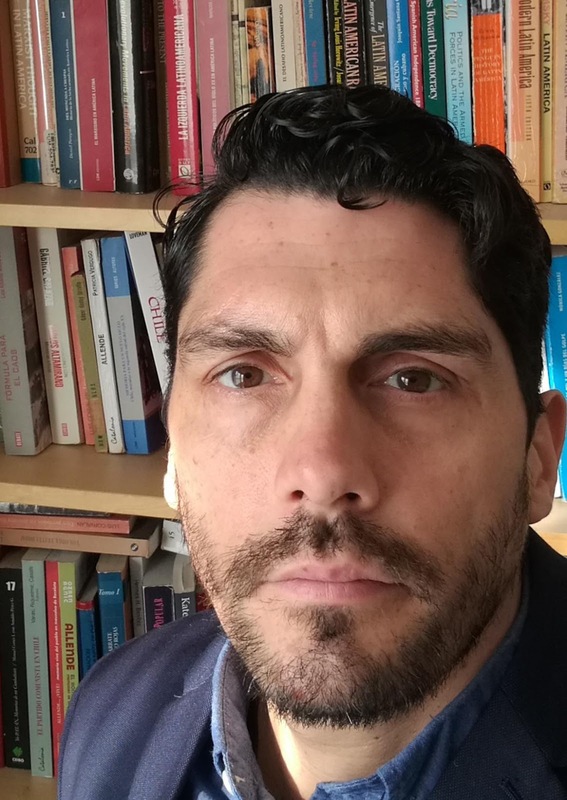 Victor Figueroa is the lead researcher on new technology and the future of work at the International Transport Workers' Federation (ITF). His work examines trends in technology, the global economy and international relations and how they may impact workers. Some of his work is accessible on Medium https://medium.com/me/stories/public. He is a biographer of Salvador Allende. Arntz M, Gregory T, Zierahn U (2018) Digitalisierung und die Zukunft der Arbeit: Makroökonomische Auswirkungen auf Beschäftigung, Arbeitslosigkeit und Löhne von morgen, Mannheim: ZEW. Wall (2018) ‘Adapt or die: how to cope when the bots take your job,’ BBC News.